Welcome to the Snoring Sasquatch, a 100 seat Live music, concert, arts, and performance arts venue in Creston, BC. It is a combination living-room, concert, and café environment. The venue is a favorite stop for up and coming artists, as well as some legendary performers from around the country. It is place to enjoy some delightful offerings from our coffee bar as you and take partake of some of the best talent in the region, support homegrown music, keep Canadian talent alive. 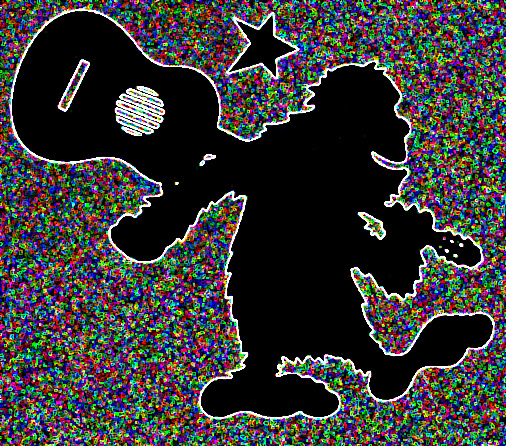 The Snoring Sasquatch has an Open Stage/ Coffee House every Friday night at 7 pm, with a variety of hosts from around the valley (unless a major concert or event is booked – see the online calendar – visit the website). If you are a performer, feel free to participate in the Open Stage or contact us to book a concert or event. If you are planning an event with a guest list larger than your space? The Snoring Sasquatch is available for private rentals. With its combined living-room, concert, and café seating it’s ideal. The Snoring Sasquatch is a concert venue. It is not a bar where the music is background. The artist is the draw and as such plays for the door.The split is 70% to the artist(s) and 30% to the house, and the establishment does everything it can to promote the artist and the event. For ordering your posters and promo kit Click Here. Please direct management to your website or send us a press kit if you are interested in booking a performance. Check our Events Calendar and see if the date you’re interested in is available, but please verify. While the Fire Marshall says we can have 102 people in the room, we find the attendance varies greatly depending on how well loved and/or known the artist is in the area. Generally the community supports about one show a week with an admission range of $10-$15. Tickets are the negotiated price between the house and you/your Act. The total sales are then split as above or as negotiated. Snoring Sasquatch Members are offered a discount to encourage greater attendance. The financial discount is often declined. Staff and Volunteers are not charged admission. Occasionally a few promo tickets are distributed to select people….. It does usually mean they bring a friend therefore adding to the audience count. Final Drafts of Promotional tools received about 4 weeks prior to the performance. Promotional Material! Please choose the Poster/ Promo Kit you prefer. Then send the following in One (repeat One) email to Bookings Along with your choice of packages, with 2 photos of the band and your poster template, (if you don’t have one we will put one together for you), or media kit link. Please contact Bookings if you have questions regarding format, but please keep emails to a minimum. Posters! See Poster Info below for details on poster requirements and download our media kit w/ our logo if you print and mail them to us. Again, please submit draft to bookings for vetting. We have caught errors and omissions! Sound check arrangements will be made closer to the date of the show. A table and light are provided for CD sales and other merchandise which you control. We will try to help if we can. Contact information will be made available for venue access, for booked performers, prior to arrival in Creston. When these things are not done, attendance suffers – and that’s the bottom line. Your show could be subject to cancellation. If you want to do a concert or public event here, and do all the posters, marketing, and advertising, yourself. The Price is $150.00. For all events we ask for a $30 refundable clean-up deposit.There is seldom any issues. We find most people are responsible enough. If it’s late and you just want to leave:We will do lite clean-up for $30.00, preferably arranged in advance. Heavy clean-up for $60.00, preferably arranged in advance. We also have Sliding scale for non-profit events. Town bylaws require public noise levels to be greatly reduced by 11 pm. 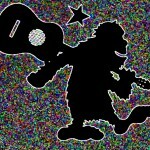 I’m just new to Creston and looking for some musicians interesting in jamming. I’m a middle of the road drummer who loves blues, R&B, and dixieland jazz. Do you know any folks looking to get together for some weekly fun?? Hi, Off the top of my head I don’t known of any in Creston but I will keep my ear to the ground for you.